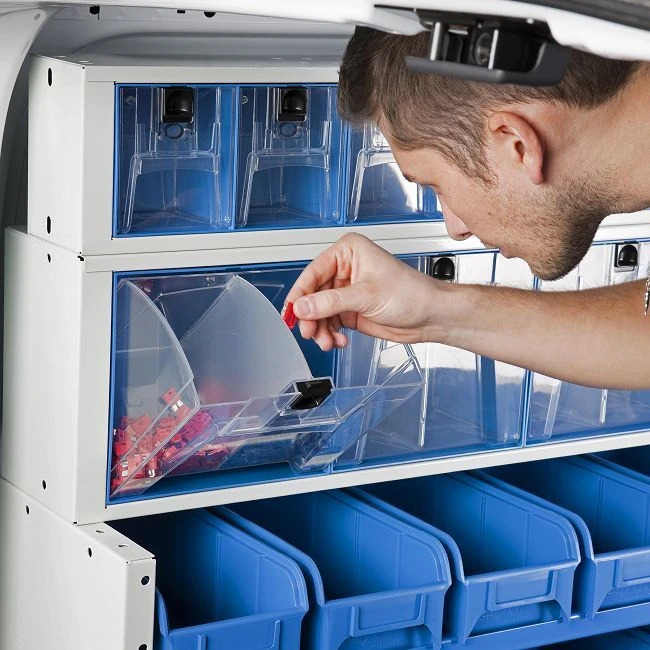 Syncro drawer units with transparent drawers are a big step forward to traditional products. 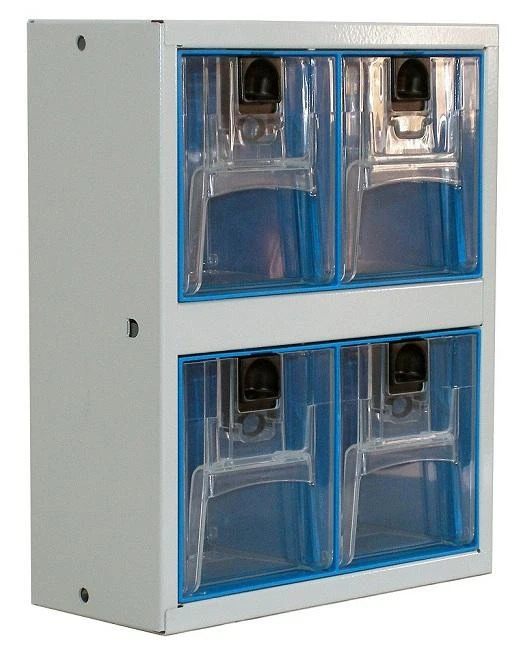 Top quality anti-ageing plastic: does not turn yellow or become fragile over time. 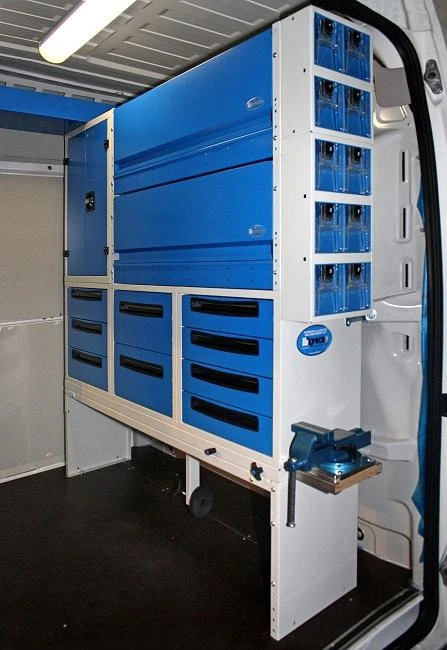 Flush drawer fronts with no protruding parts: less risk of damage and optimised use of space inside the van. 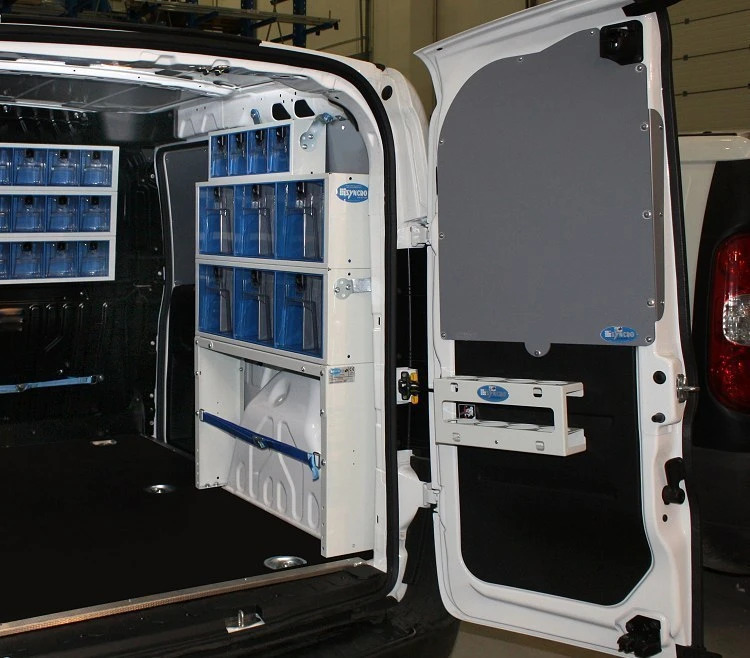 Fully compatible with the Syncro upfitting system: can be installed anywhere in your van’s upfit! 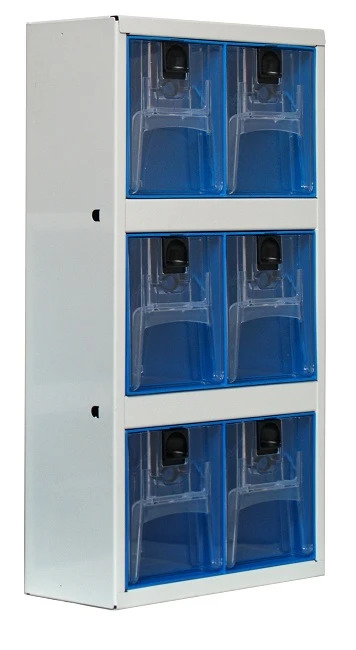 The larger model comes complete with a removable aluminium divider. 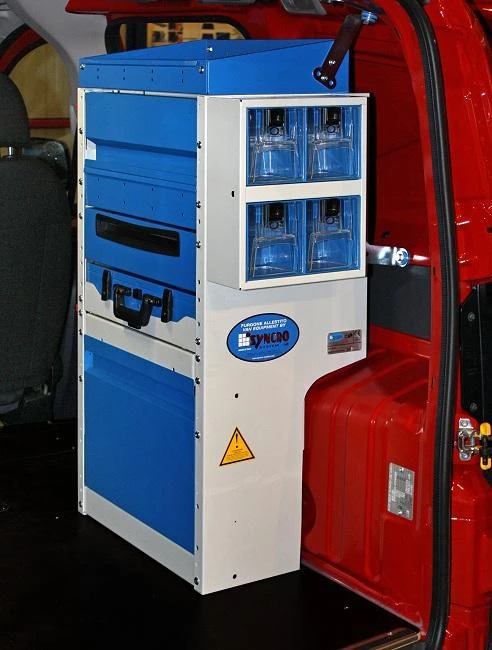 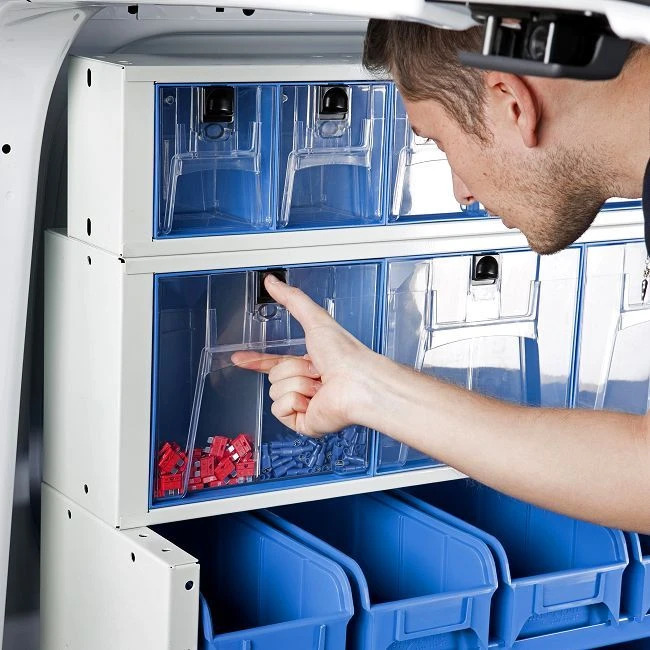 Their compact dimensions allow Syncro drawer units to maximise the space available inside your upfitted van. 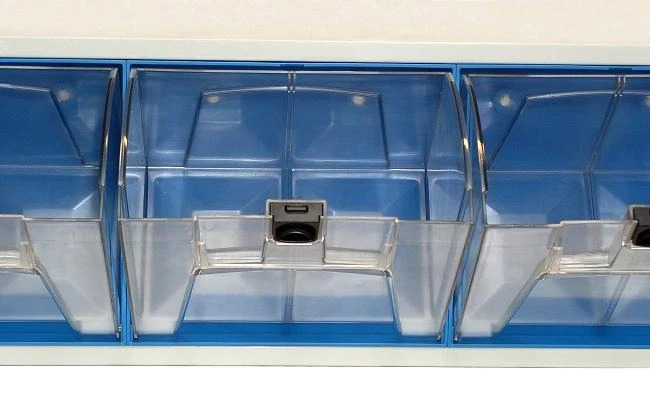 FORGET CONVENTIONAL PLASTICS THAT BREAK EASILY! 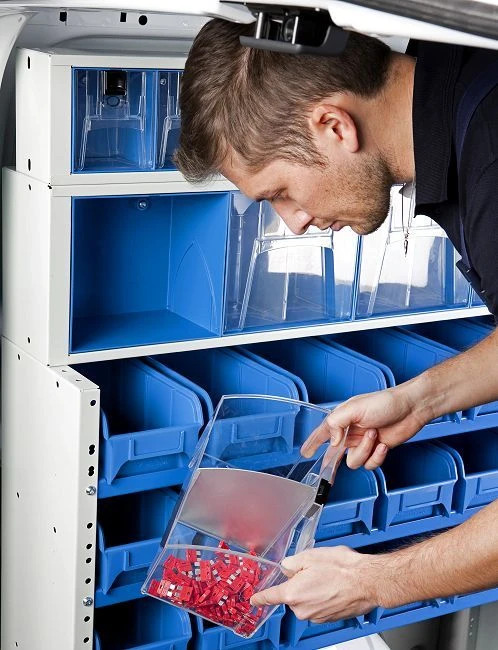 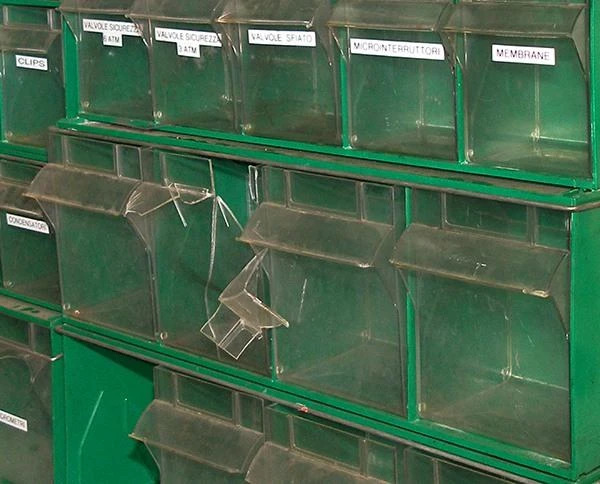 Conventional plastic drawers tend to break with use, partly because of poor quality materials and partly because of protruding handles. 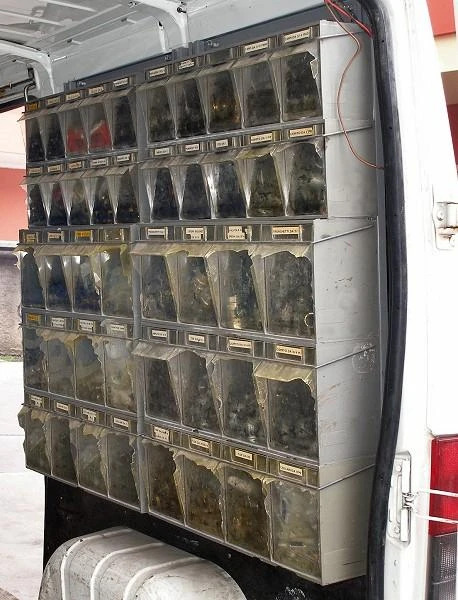 But now there’s an answer to the problem! 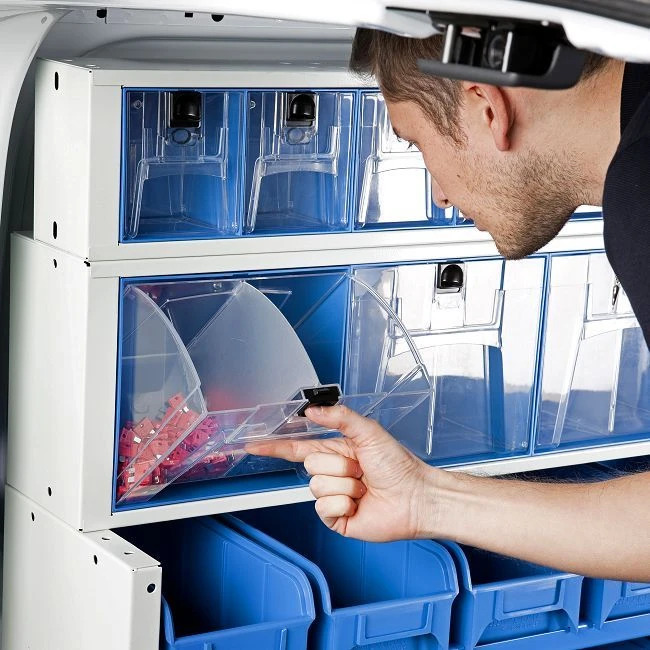 These transparent drawer units are also available in an upright version for installation along the side walls of your van. 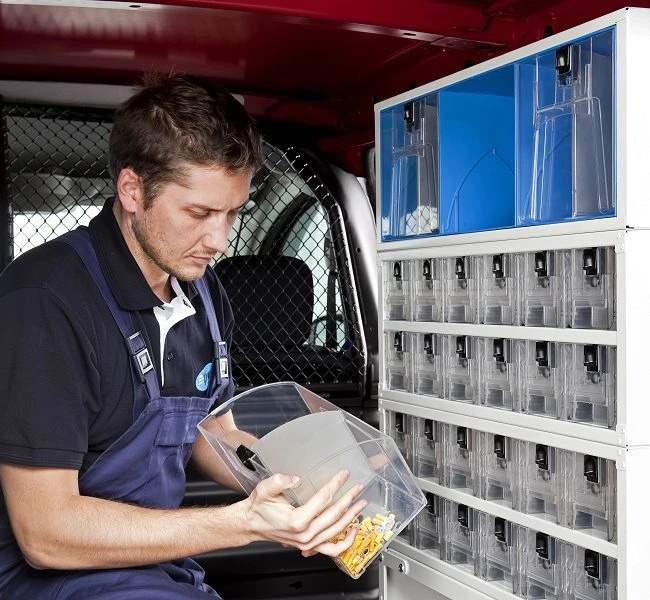 These photos show a Fiat Doblò upfit with transparent drawers. 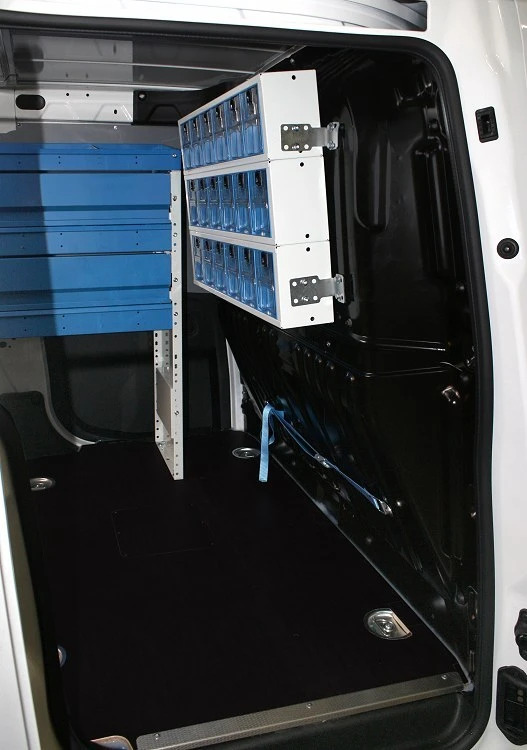 The van interior is protected by a plywood floor panel and honeycomb polypropylene wall panels. 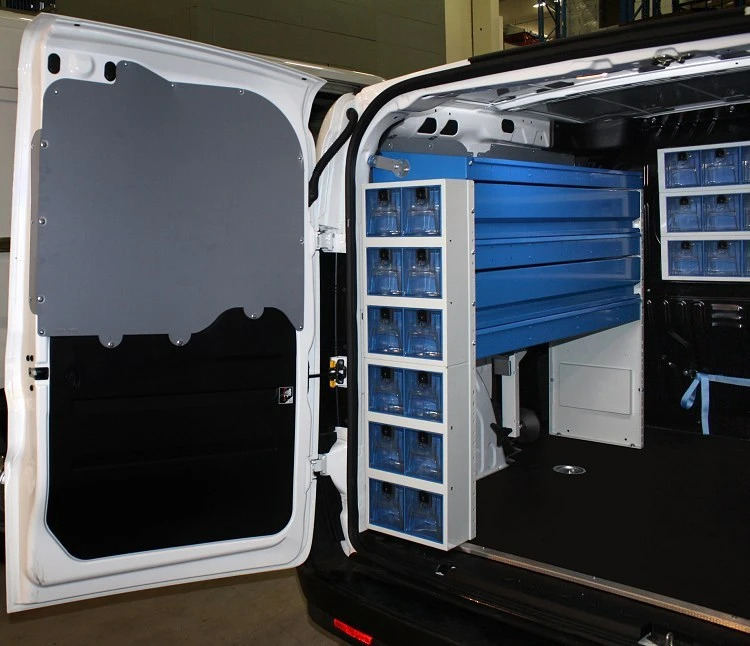 On the left, the upfit team has installed a wheel arch cover with a tool case lashing system and a shelving unit with three shelves, two with doors. 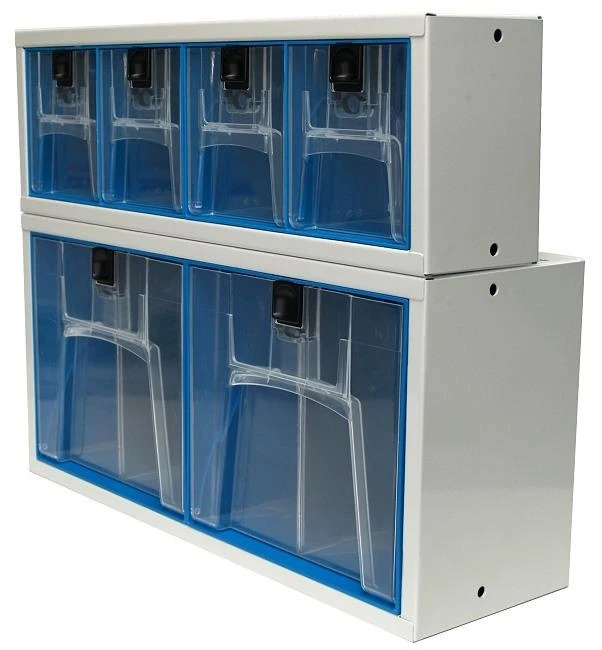 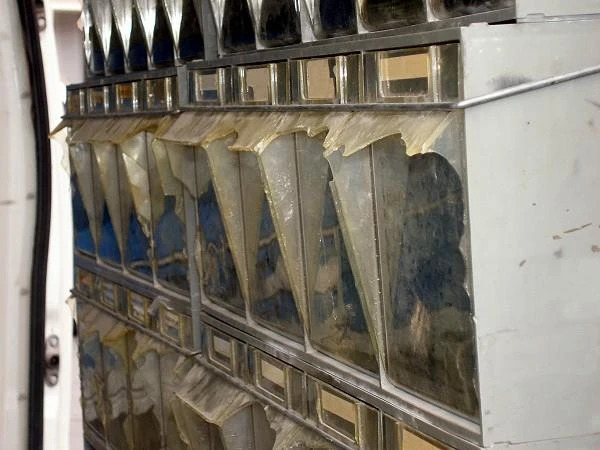 These are complemented by 10 small tilting drawers on the left, another 18 on the bulkhead and 6 large and 4 small tilting drawers along the right side wall. 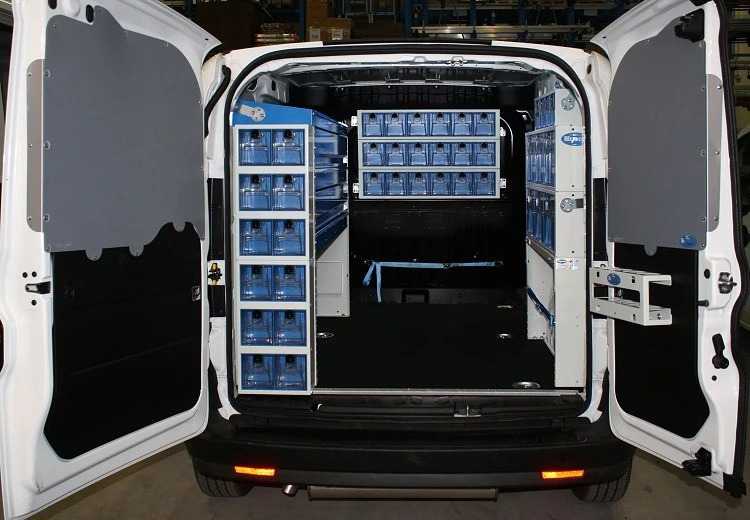 The upfit of this Doblò is completed by a lashing strap, a compact but powerful LED ceiling light and a rack for spray cans. 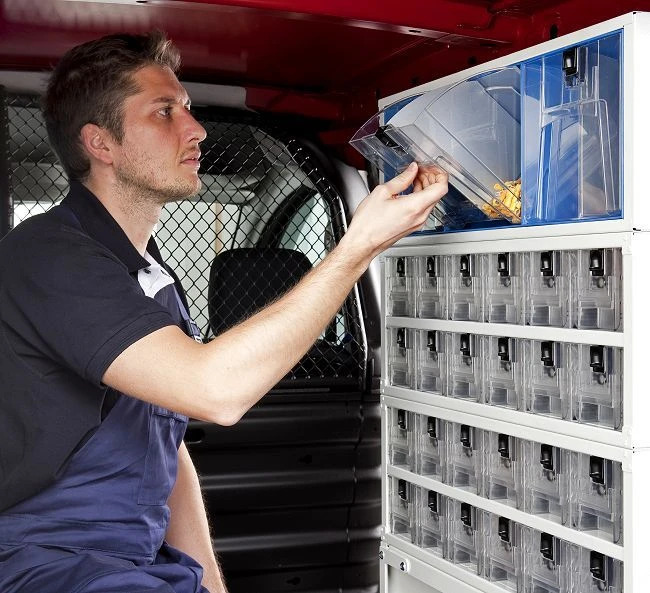 Transparent drawer units transparent drawers patented drawer units drawer units for vans. 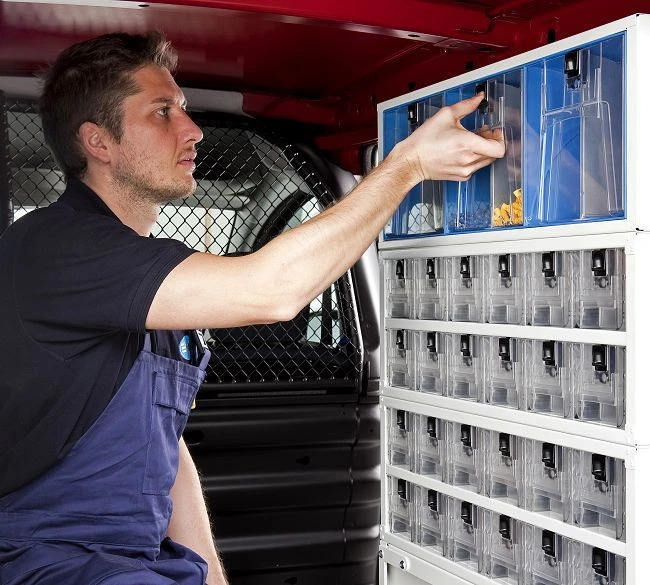 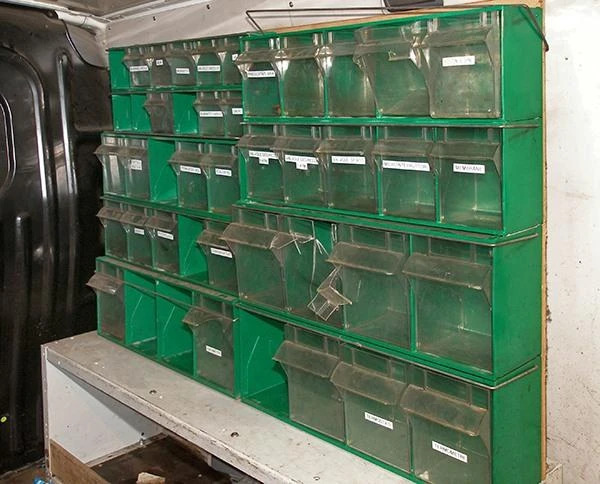 Practical and functional drawer units with transparent drawers for vans.